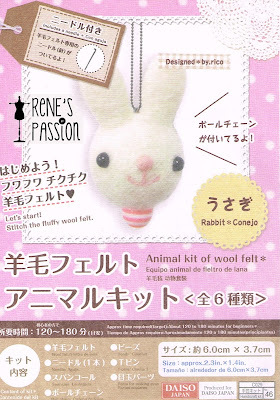 Last weekend my sister-in-law, Sianny, bought a packet of animal wool felt kit for me from Diaso. It is my first time using wool felt and I was amaze by it. To shape/join the wool felt all you need is a needle meant for it. 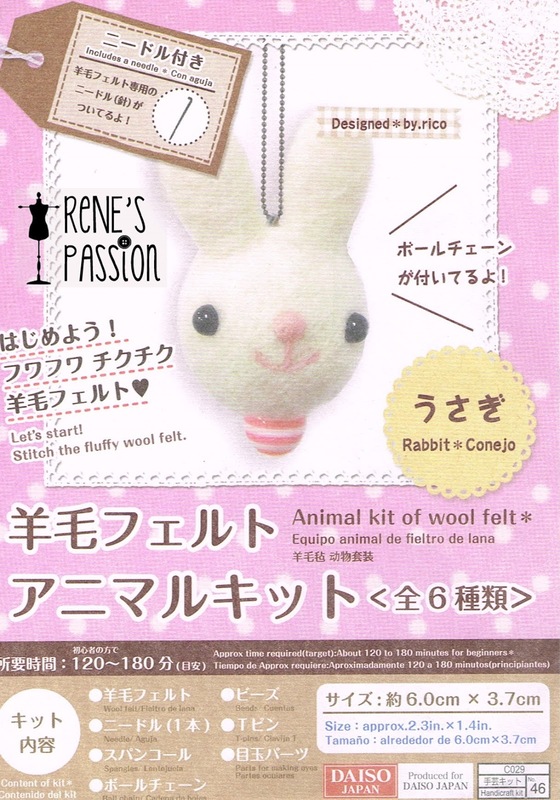 This kit is a good buy as it has included all necessary tools you require to do the rabbit. Inside the kit: Instructions, beads, needle, wool felt, spangles, ball chain, T-pins and parts for eyes. The rabbit that I made. It look different from the packaging -> beginner skill. Hahahaha, it is so damn super CUTE!!!!!!!!!! !